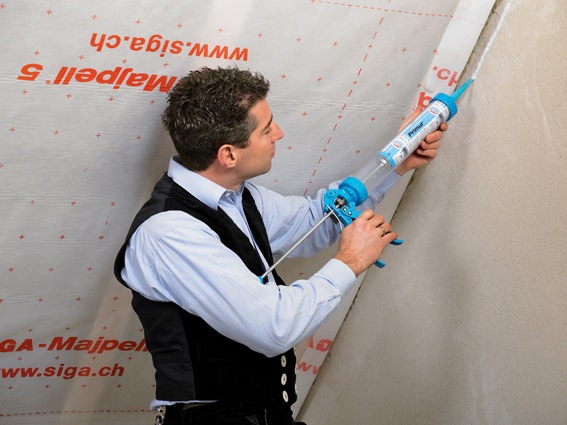 Primur is very well suited for airtight bonding of vapour control layers to stucco, plastered masonry, concrete and other massive structures (e.g. wood). 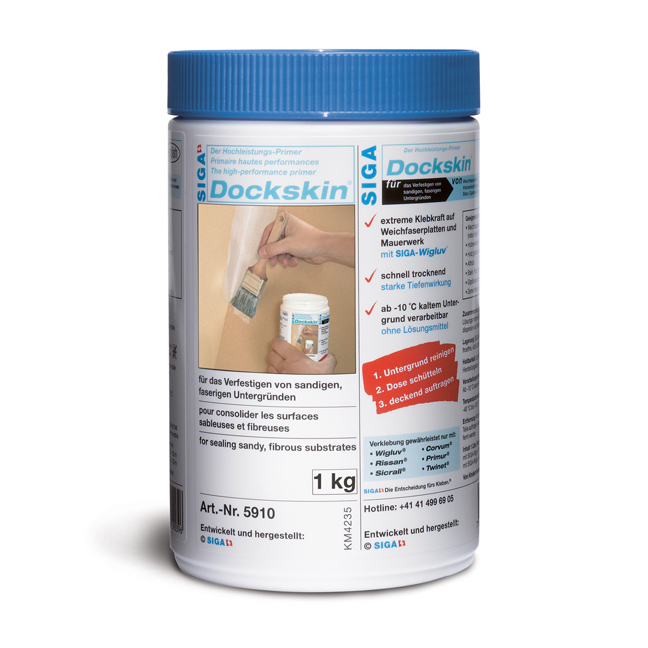 No supporting lath is required as the high-performance adhesive compound is durably adhesive and elastic. 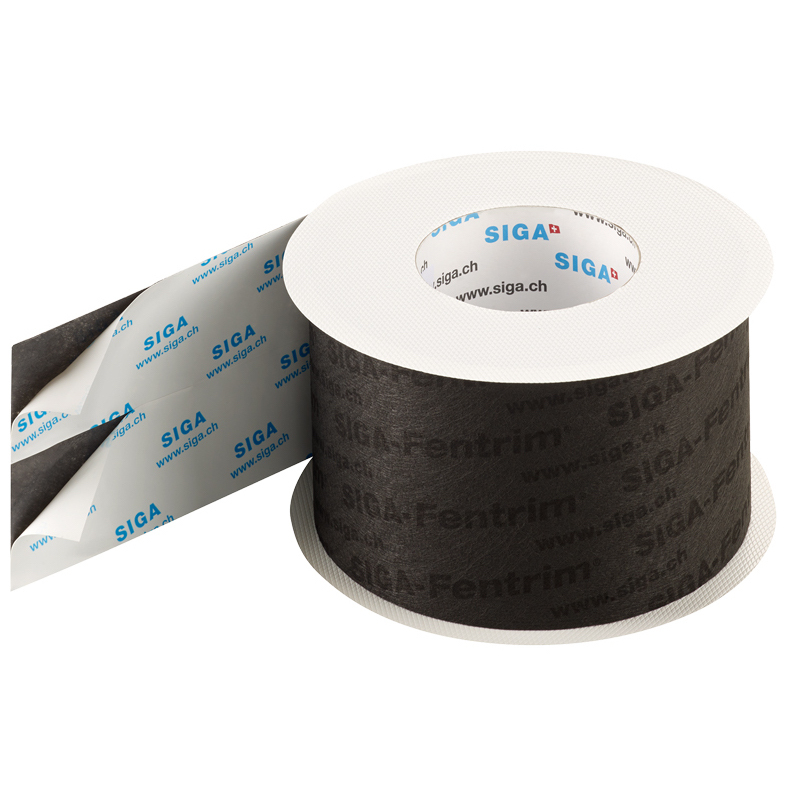 The high-performance adhesive compound Primur Roll can easily, quickly, and safely be used for various joints inside and outside. For instance plaster, concrete, masonry, wood, metal, hard plastics, gypsum and cement fiberboards are all suitable substrates. 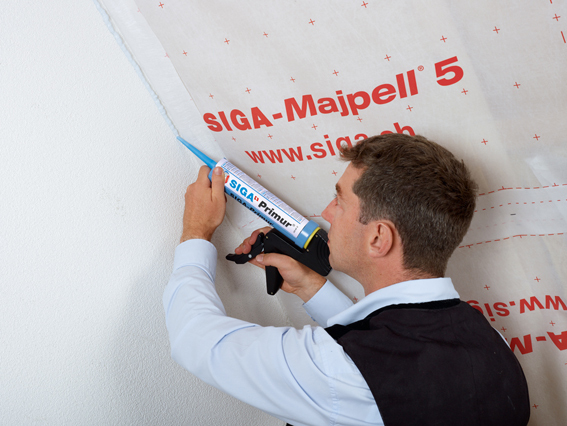 Driving rain resistance in combination with the breathable membrane Majcoat has been proven by the TU Berlin. 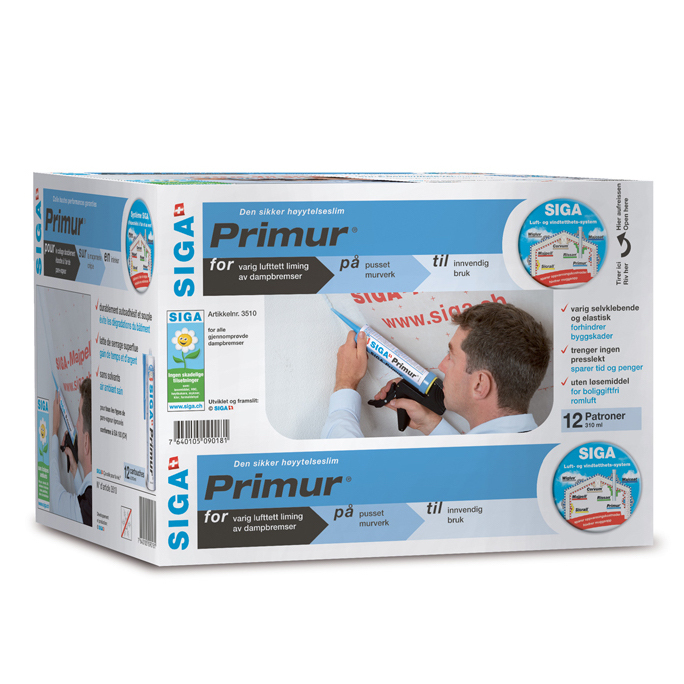 Primur has an extremely high adhesive strength without drying time, making it so indoor and outdoor joints can be subjected to loads immediately. 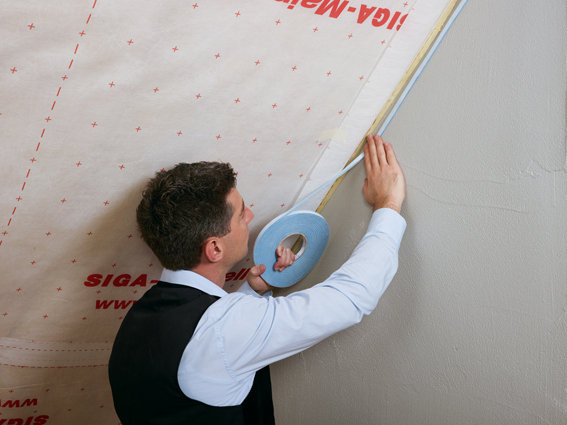 Apply Primur Roll before mounting the vapour control layer; this method is clean and makes for fifty percent less working time. 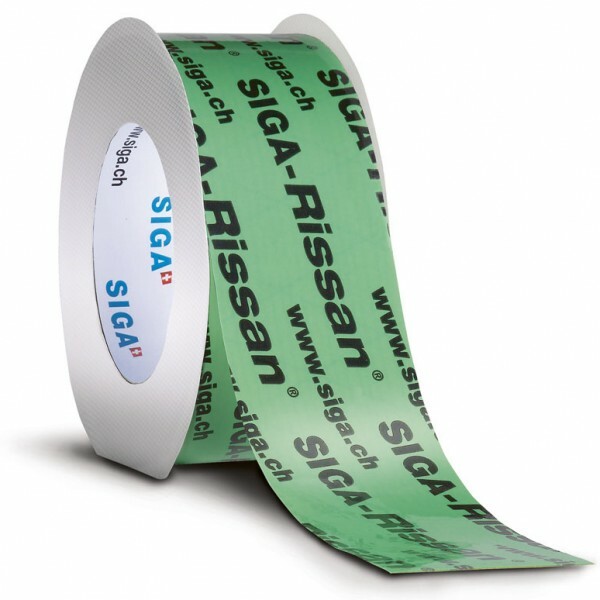 The roll is consistently four millimeters thick and elastic, this reliably absorbs structural movements. 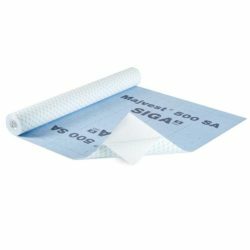 Suitable for vapour control layers, facade membranes and diffusion retarder sheeting along with smooth to rough sheeting, Kraft papers, and Aluminum membranes.